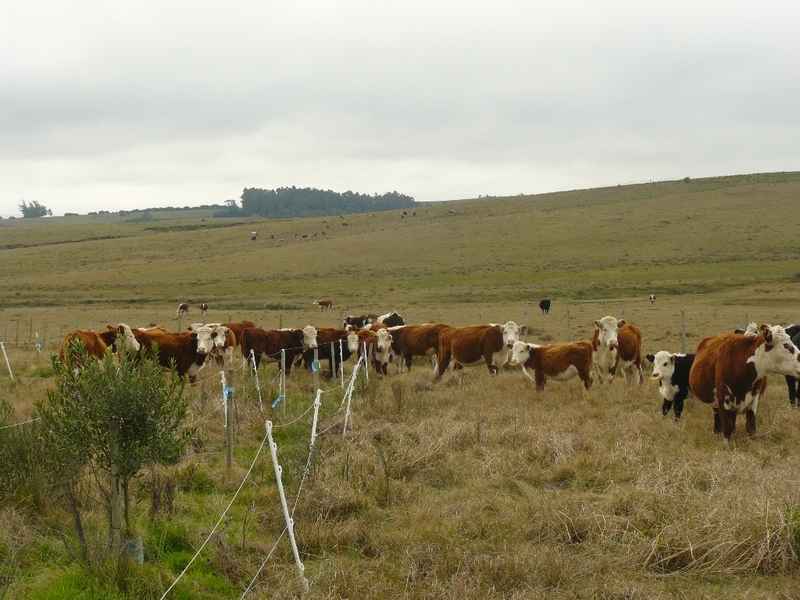 With trying to manage pasture in the olive orchard with animals comes the constant issue of making sure that none of the animals eat the olive trees. We’ve had varying levels of success with an array of management techniques, typically used in combination. More fence stakes, less fence stakes, different combinations of electric fence wire or electric fence tapes, powerful charges, smaller chargers, multiple charges, different groups or combination of groups of animals, moving more often, moving less often (this one was a disaster), vitamin supplements, different water access, and so on. 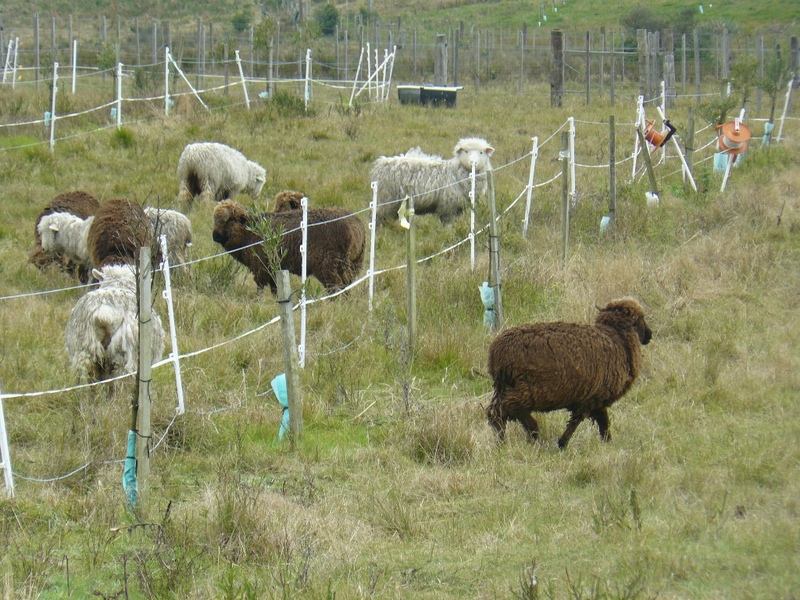 The second group is the yearling sheep (i.e. borregos in Spanish) which are munching away in the Picual. Between the two groups, there’s always one animal who just doesn’t stay inside the fences. It’s because of them that I take an afternoon walk with Resi every day and go check fences in the back 40. Because there is always either a cow or a yearling sheep out. Always. Thankfully, it’s usually a sheep. Because the cows are a lot more work to get back inside the fencing. 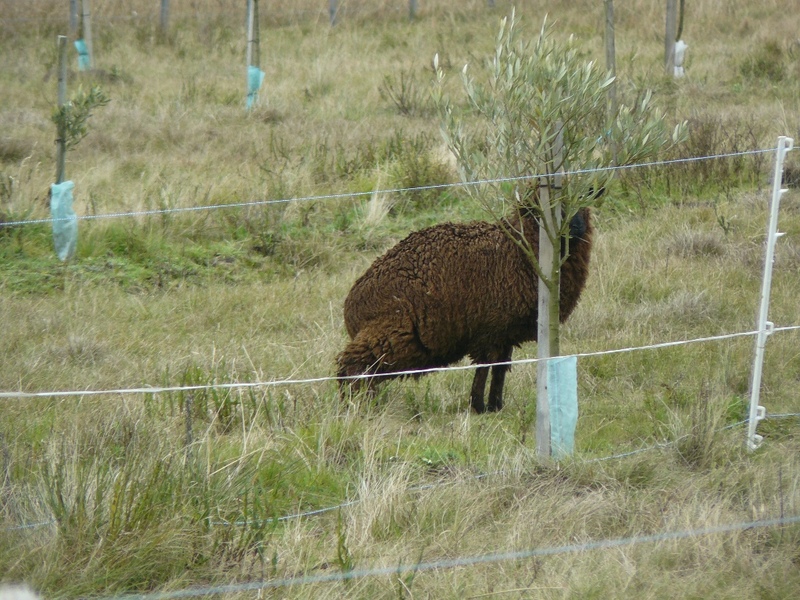 And, at least in the case of the sheep, they typically aren’t munching on an olive tree. There’s too many interesting weeds closer to their nose. But still, out is out. And often their first response?